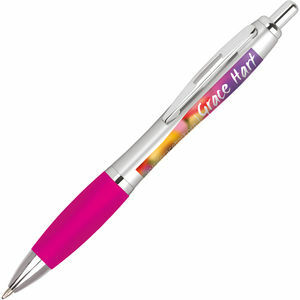 The Contour Digital is a full colour print version of the popular Curvy Ballpen. Want something a bit more special? 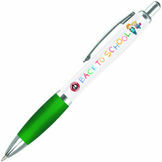 Why not go upgrade to a metal Contour Argent or go for a full 360° message with the Contour Digital Wrap. 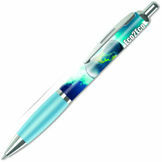 Contour Argent: Metal pen with choice of Aqua, Black, Blue, Green, Magenta, Orange, Purple, Red, White, Yellow grip.